The first shot in President Trump’s trade war against trading partners was fired off in May 2018. Hefty tariffs were slapped on aluminum and steel imports from the European Union, Mexico, and Canada. Steel imports from those places were taxed at 25% and aluminum imports at 10%. 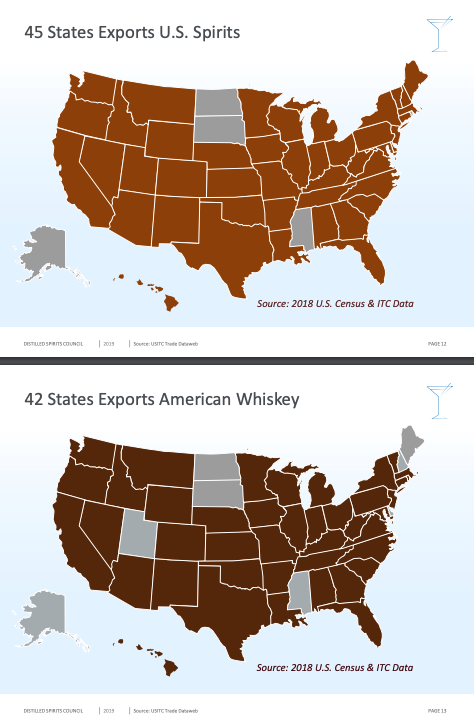 Those were large numbers that had a retaliatory effect on American liquor exports to those regions. 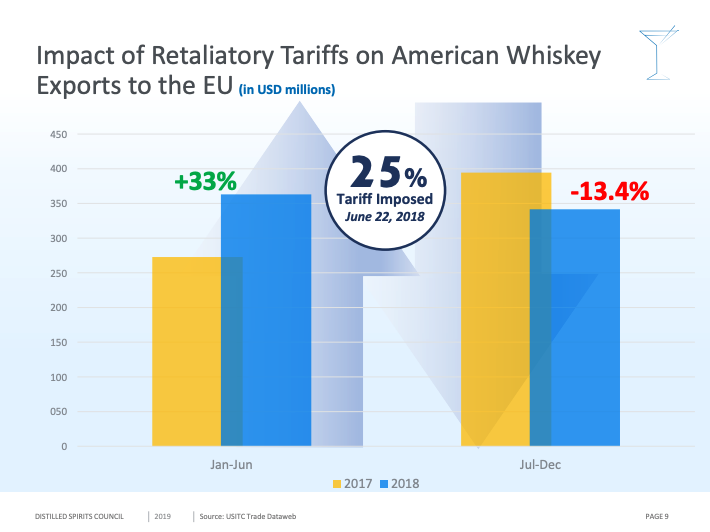 Export data has reinforced concerns among whiskey producers that President Trump’s trade war would severely damage the export segment of their companies. 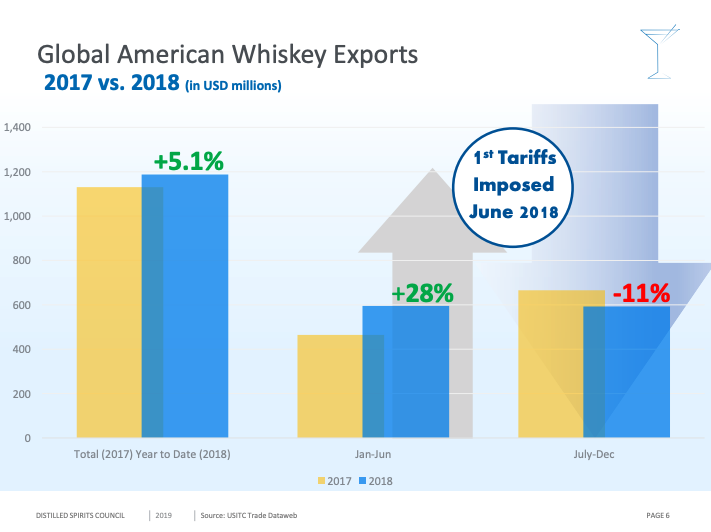 Despite turmoil in the second half of 2018, American whiskey exports increased by 5.1% overall last year, to a record $1.18 billion. 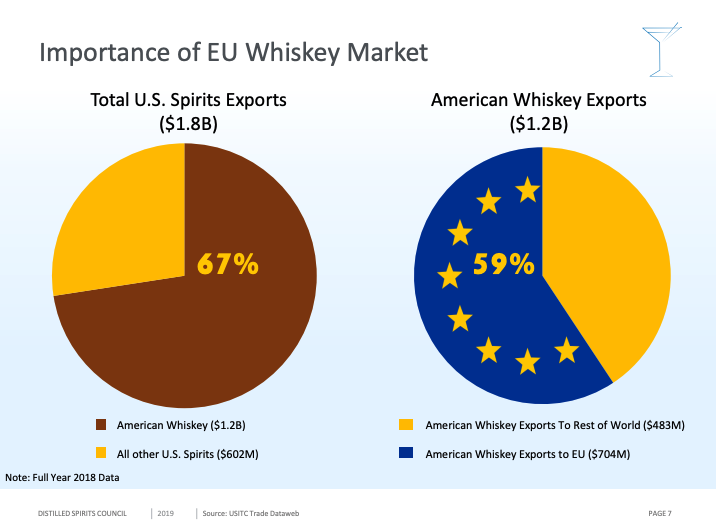 This was due to a 28% jump in whiskey exports in the first six months of the year. Overall, last year’s increase was down significantly from the annual growth rate of 16% in 2017. With the council’s 2019 outlook projecting more turbulence, it seems that the industry is in the beginning innings of a crisis. Expect the next round of data from the council to be much worse.